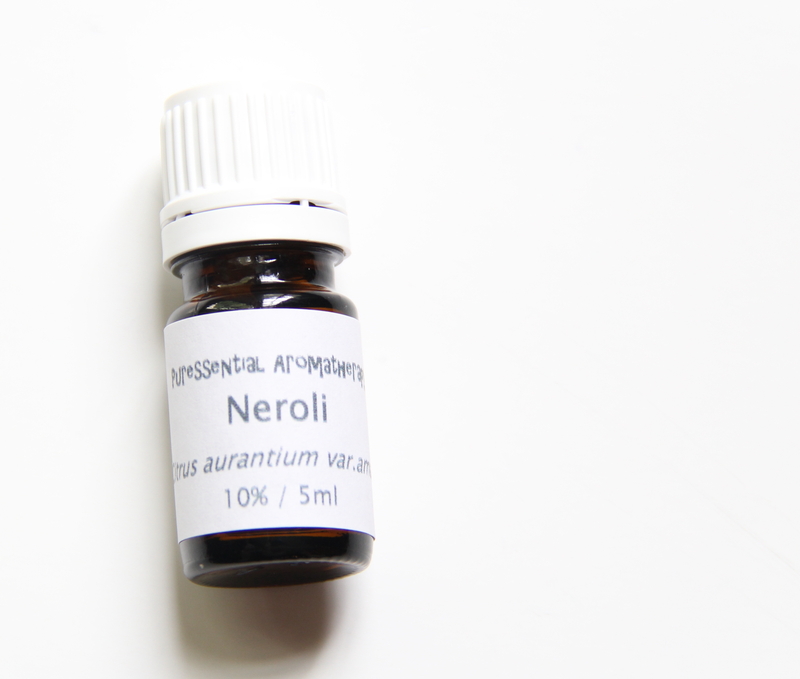 Neroli essential oil ( Citrus aurantium var. amara ) is steam distilled from the flowers of the bitter orange trees. Bitter orange tree is very generous because it gives three essential oils: Neroli from its flowers, Petitgrain from its leaves, and Bitter Orange from the fruit rind. It is simply amazing! 1 ton of orange blossoms produce 1 quart of oil. That’s why Neroli, like Jasmine is expensive and often adulterated. 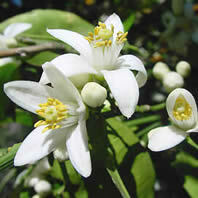 Neroli is floral, sweet and citrusy with a long lasting aroma. It is a gorgeous oil! I once spilled a few drops on a napkin, and the aroma lasted the whole week! And I had this sense of tranquility the whole time. Like any other expensive floral oils, too much Neroli can and will cause a headache! Neroli is considered an antidepressant and is vey useful in treating anxiety and nervousness. It offers strong emotional support. Combine with Ylang Ylang, it reduces heart palpitations. Besides its calming effect on the psyche, Neroli is often used in skin cares combined with other oils, such as Palmarosa, Lavender, Myrrh and Rosemary verbenone. It is also antibacterial and analgesic. I make a 10% Neroli oil diluted in organic Jojoba oil to make it more affordable. I carry it in my ETSY shop here. Our Neroli is a precious oil, steam distilled from the flowers of bitter orange trees. Floral, sweet and long lasting aroma. 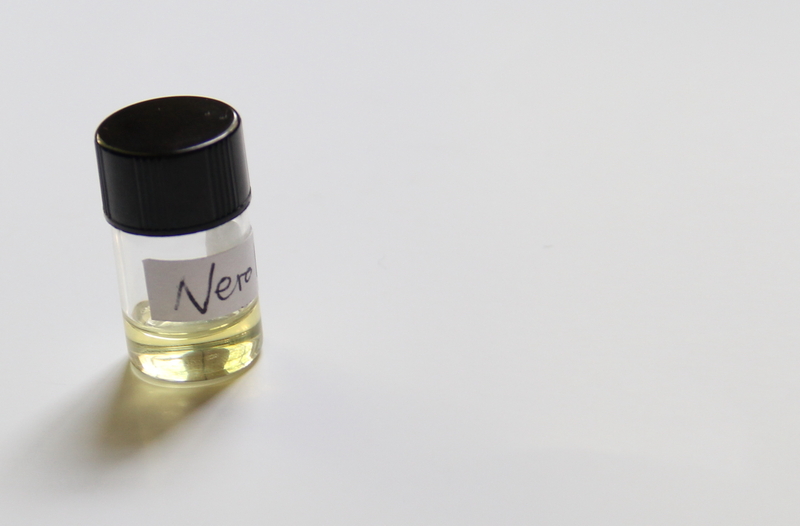 Like Jasmine, Neroli is expensive and is often adulterated. The Neroli oil I use has been GC/MS tested to ensure that it is 100% pure. I wrote a blog about GC/MS report. You can read it here. To make it more affordable, I dilute the oil in organic Jojoba oil. Why Jojoba oil? Jojoba oil is a liquid wax with long, stable shelf life. Its molecular structure resembles our skin’s natural sebum. And since it is antioxidant, it actually extends the shelf life of other oils. + How to use it? *add a few drops to your bath for an aromatic, moisturizing bath. * add a few drops to 1 oz of Jojoba oil or another carrier oil to use as a sensual and relaxing massage oil. Can be massaged onto stomach if the stress causes stomach upset. *add a few drops to 1 oz of your night time favorite unscented moisturizer for extra nourishment. Add 2 drops of Frankincense and 2 drops of Sweet Orange if you like. * add a few drops to your unscented body lotion. * mix 5ml 10% Jasmine absolute with 5ml (.17oz) of Jojoba oil or another carrier oil, add 1 drop of Frankincense and 1 drop of Sweet Orange to make an emotionally uplifting perfume oil when feeling stressed, anxious or depressed. Apply to wrists, temples, behind the ears or sternum. Use a glass roll on bottle for easy application. You can purchase the roll on glass bottle by clicking on the image. I purchase from the same supplier and the bottles are great.